Where to buy Aurora Shredders? 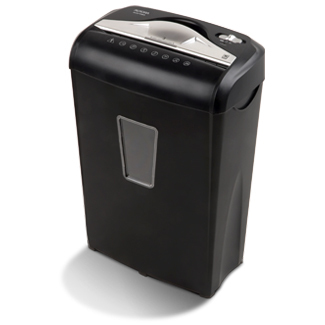 The Aurora AU870MA 8-sheet micro cut paper/credit card shredder with basket is the perfect home and small office device to help keep you safe from identity theft. The AU870MA accepts up to eight sheets of paper at a time and shreds them into 5/32 x 15/32 inches pieces. In addition to paper, the AU870MA shreds credit cards, keeping vital information from falling into the wrong hands. The throat of the shredder is 8.7 inches wide and allows continuous shredding for 5 minutes.